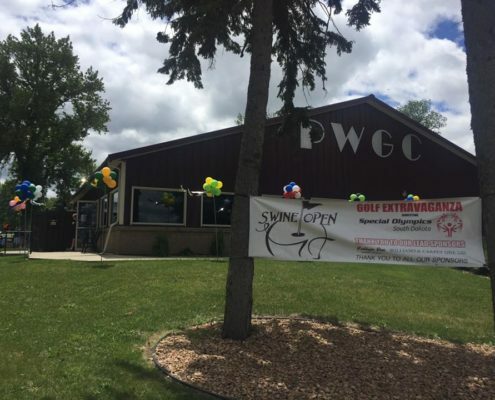 Formerly known as Watertown Country Club, Prairie Winds Golf Club opened on Memorial Day 1926. On April 30, 1925, it was announced that George Hart had purchased the 140 acres of land where some of the original holes still are played today. In 1969 an additional 18 acres of land was purchased and holes #2 and #3 where developed and opened the following year. Very few changes were made to the club until 1998 when the membership had the opportunity to acquire the land which is currently played as the back nine. Because of this land acquisition members and guests have the unique opportunity to experience two very different layouts on the same golf course. With multiple sets of tees ranging from 5300 yards to just under 7000 yards, players can make their day as challenging as they like, no matter what their skill level. After golf, or most anytime, stop in and enjoy a friendly atmosphere, a quality meal, and great service in our dining room and lounge. 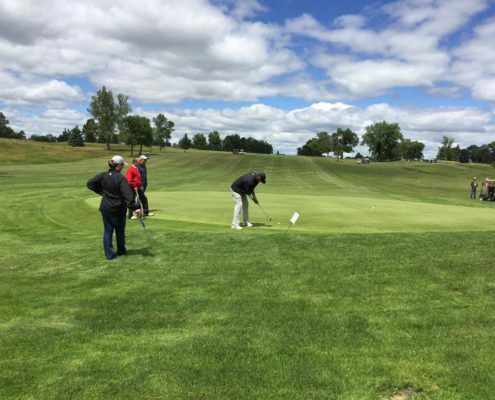 The club is nestled next to Lake Kampeska, just minutes from the heart of Watertown SD, surrounded by mature trees, rolling fairways, excellent scenery and abundant wildlife. Challenging yet uncrowded, you’ll see why our members are so proud of their course!! For more information or to book a tee time please contact the golf shop at 605-886-3554.